I always like to participate in reading challenges because it gives me a focus for my reading. I am planning on doing the following reading challenges in 2019, even though I’m in graduate school. I enjoyed the Monthly Motif Reading Challenge this year. I don’t think I’ll complete it. I was stumped about what to read for a “Vacation Read” in the summer, so I never did that one. However, I think the motifs for 2019 look interesting, and I’ll give this challenge another whirl. I will try to do the challenge book each month. I am also going to try to do a bit better about reviewing each of the books I read and posting them to the challenge linkup pages. 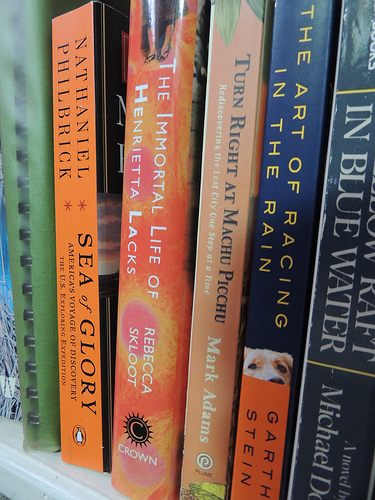 If I commit to completing the challenge, it means reading 12 books that fit the various monthly motifs. I like to do the Historical Fiction Reading Challenge pretty much every year. Historical Fiction is my favorite genre. I think I’ll go easy this year, though, and just try for the 20th Century Reader level of two books. I am also trying to branch out and try other kinds of books, so it might be good for me to stretch beyond historical fiction. 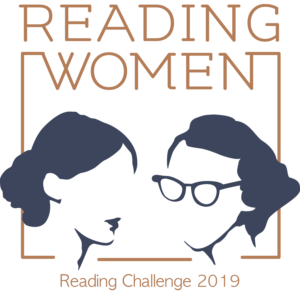 I also want to try the Reading Women Challenge. I like the fact that this challenge is open-ended. Though there are 24 categories with two bonuses, the goal of the challenge is really just to read as many women as possible. I am going to shoot for completing 12 of the categories, but I’m not sure right now which ones. A lot of them look like fun to me! If I were not in grad school right now, I might try finishing the challenge with 24 books and the bonuses, but I think it might be a bit much for me. I didn’t do so well last time I tried backlist challenges, but I think that’s because I was doing two of them at the same time. This time, I’m just going to do one. I like the Beat the Backlist Challenge because it has lots of prompts and a Hogwarts House challenge, too. I’m all about that! I’m, of course, competing for Ravenclaw. I think I’ll try to read one book from my backlist for each month, so I’m shooting for 12 books. That’s it for right now. I’m sure other challenges will catch my eye between now and January 1, and I’ll update this post once I find out about new ones. I usually try to do the R. I. P. Challenge, though I kind of think it’s lost its heart now that Carl isn’t doing it anymore. He was so enthusiastic about it. I will be creating my challenge progress page in the new year. I’m hoping to find a bit more of a writing rhythm. I lost my balance when I started my doctoral program. 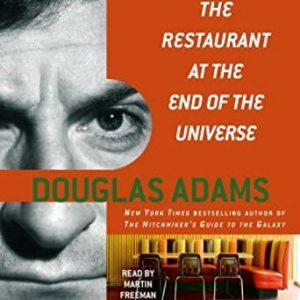 Even though I have mostly been able to keep up with my reading, I was not able to keep up with reviewing what I had read. I am not sure how many books I want to commit to reading next year. 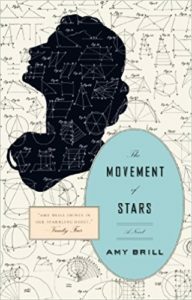 A love story set in 1845 Nantucket, between a female astronomer and the unusual man who understands her dreams. It is 1845, and Hannah Gardner Price has lived all twenty-four years of her life according to the principles of the Nantucket Quaker community in which she was raised, where simplicity and restraint are valued above all, and a woman’s path is expected to lead to marriage and motherhood. 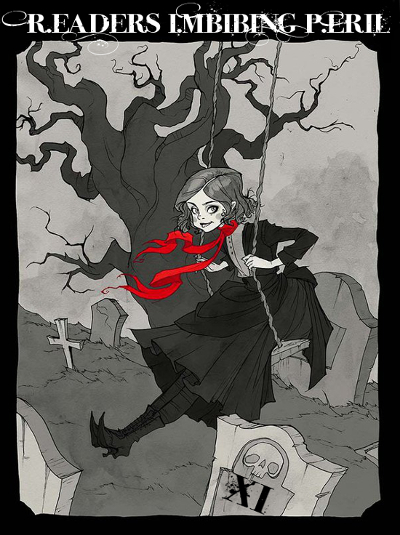 But up on the rooftop each night, Hannah pursues a very different—and elusive—goal: discovering a comet and thereby winning a gold medal awarded by the King of Denmark, something unheard of for a woman. And then she meets Isaac Martin, a young, dark-skinned whaler from the Azores who, like herself, has ambitions beyond his expected station in life. Drawn to his intellectual curiosity and honest manner, Hannah agrees to take Isaac on as a student. but when their shared interest in the stars develops into something deeper, Hannah’s standing in the community begins to unravel, challenging her most fundamental beliefs about work and love, and ultimately changing the course of her life forever. Amy Brill’s writing reminds me a bit of that of Tracy Chevalier, though perhaps not quite as deft. As the inspiration for Brill’s Hannah Price is Maria Mitchell, I wonder why Brill didn’t just write about Maria Mitchell. I assume she wanted to take some artistic license with the story, especially perhaps in bringing in Hannah’s student Isaac Martin. I might have appreciated the storyline the more if Hannah had continued to view Isaac as a friend a pupil. I didn’t necessarily need a love story. And the love story was impossible for their times in any case. Brill explains in her author’s note that she changed some dates. For example, Maria Mitchell met Mary Somerville in 1858, but Brill placed the meeting between Somerville and Hannah Price some eleven years earlier. Hannah’s friend photographs Mizar and Alcor in 1847, but the real photograph was taken a decade later. After I read that, I wondered if the technology to take the photograph even existed in 1847. If not, that’s a pretty large issue. Brill paints the setting of Nantucket well, and I enjoyed her characters, especially Isaac. I initially started reading this book some time back and put it down for a while. It had been a long time since I’d put it down, so I just started over again. My reason for reading it now is that the Monthly Motif Challenge theme for April is “Read Locally.” I couldn’t really find much of anything to read that’s set in Worcester, but Worcester does get a mention in this book when the third-person narrator explains that many Nantucketers had moved to find work in the Worcester mills. Close enough! As the year winds down, I found two more reading challenges for 2018. I’m not sure I’ll sign up for further challenges, except for the R.I.P. Challenge, which I participate in nearly every year. 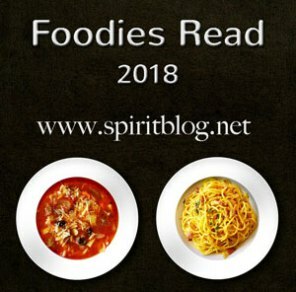 The next challenge that caught my eye is the Foodies Read Challenge. I have been trying to do more cooking and do more reading about food, and this challenge will help me meet that goal. The challenge rules state that “[a]ny book where food is a main part of the plot is welcome,” including cookbooks. I have lots of nonfiction reading about food I’ve wanted to do for a while, and this challenge will encourage me to get going. I have also been collecting cookbooks for a few years now, and reading and trying more of the recipes in the cookbooks is sometimes a challenge. I tell myself I don’t have time. But I do have time if I make it. I’m always saying that we make time for things we value. I haven’t made much time for cooking in the past. Let’s face it: cooking is time-consuming. But the food is so much better, and I can control every single thing about it. Here’s hoping I can make this a New Year’s Resolution, with the support of my family. In any case, it’s a big money saver. The important thing is to plan meals, and despite setting up systems that should have helped me with this aspect of cooking, I have not been good about maintaining those systems. 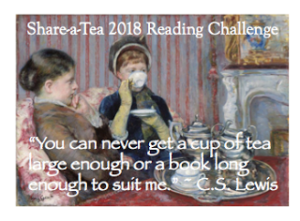 The final challenge is the Share-a-Tea Reading Challenge. I love tea. I love reading. The demands of this challenge are few: simply read good books and enjoy good tea. However, the emphasis on sharing means growing my blog reading list (and my book reading list) as well as my tea-drinking list. I love flavored black teas. My favorite “every day” sort of flavored black tea is Earl Grey, or Lady Grey if I can find it. I commit the cardinal sin of putting a bit of milk in it, which I understand is simply not done, but I like it that way. I love the Literary Teas at Simpson & Vail and have ordered them a few times. My favorite one is the Brontë Sisters Tea. This challenge might offer some great opportunities to sample more tea. It’s that time of year again! 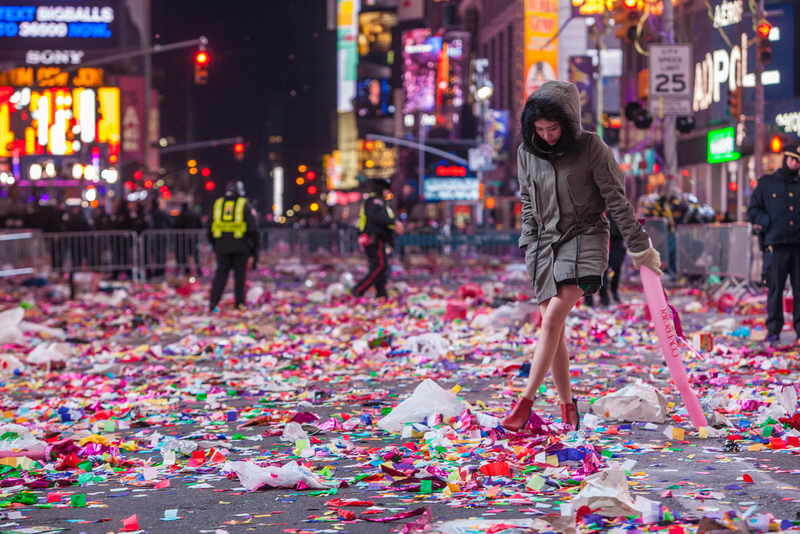 We’re halfway through December, and the new year is in sight. Time to sign up for reading challenges. I like to figure out where I might focus my reading each year, but in all honesty, I don’t actually complete most of the challenges I take on. Still, the challenges make me think about what I want to accomplish in the reading year ahead. Thanks to Kim and Tanya for collecting a great list of reading challenges and updating the list each week. The first challenge that catches my eye is the Author Love Challenge. I’m in for five of James Baldwin’s books. I think I participated in the Back to the Classics Challenge a couple of years back, and it was a great one for helping me focus my reading. Like a lot of people, I have a list of classics I keep meaning to get to. I’m just now reading 1984, for example. I’m in for six categories, but I’m not sure which ones at the moment. I like to do some kind of challenge involving reading books from the UK because I love British literature. This year I participated in the British Books Challenge, and I plan to participate again next year. I’m not sure what I will read. This year, I completed the challenge with ten books, but I didn’t review most of them because most of them were re-reads. I think this year, I will try to read at least five, all of which are new to me. I’m in once again for the Historical Fiction Reading Challenge. I have done this one many times. I don’t think I’m meeting my goal this year, but that’s fine. Historical Fiction is my favorite genre, but because I’m trying to branch out, I’ll shoot for five books—Victorian Reader. 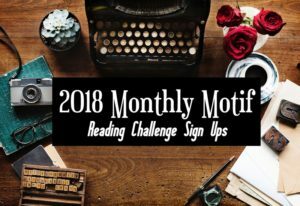 I love theme-y types of challenges, and the Monthly Motif Challenge looks like a fun way to diversify my reading selections. I’m going to try to participate each month and read a total of 12 books toward the challenge. I can’t resist any challenge that asks me to “travel” through books. I’m signing up for the Literary Voyage Around the World Challenge, and I’m shooting for Literary Hitchhiker, 25-40 countries. I’d like to think I could branch out a bit more and do more than the minimum, but looking at my usual reading patterns, I think 25 will even be a stretch for me. It will be a good excuse to diversify my reading. That’s it for now. I’ll write a new post for any additional challenges that I might want to do. I’m purposely not doing any challenges that require me to tackle books I already own or that are already in my TBR pile. I found those challenges limiting and hard for me to complete, especially when really good books came out that I wanted to read—those books tended to go on my TBR pile, and I wound up spinning my wheels a bit. I always like to write up my reading goals in my first blog post of the year. I have decided to try to read 46 books this year, since I’ll be turning 46 in September. My sister also set the same goal, but she had the idea first. She is NOT turning 46, however. I have created my 2017 Reading Challenges page. I will not be joining any more challenges until the R. I. P. Challenge this fall. All of the reading challenges I have chosen have some freedom and flexibility, so I’m not too worried about getting bogged down trying to meet challenge goals. One general reading goal I have is to read more books written by African and Asian authors and/or set in African or Asian countries. In particular, I want to read books by Salman Rushdie and Chimimanda Ngozi Adichie. I also want to read more classics of African-American literature, including Jean Toomer’s Cane, James Baldwin’s The Fire Next Time, and Ralph Ellison’s The Invisible Man. I also want to try to get to some classics I haven’t read, namely Middlemarch by George Eliot. I don’t know if this is my year to try the Russians again or not. I have been told by a wise authority that the best translators are Richard Pevear and Larissa Volokhonsky. I know a good translator is very important, and it could be why I have not had luck before. Another reading goal I have is to try to be more active in the reading challenges in which I participate. Typically, all I do is keep track of the books that meet the challenges, but often challenge hosts have special linkup posts and other activities on their own blogs, and I rarely participate. I want to do better this year. I am terrible in general at keeping up with other blogs. I would like to do better. Another related goal: I need to cull books I don’t want to keep from my stacks and do something with them. I have a lot of books. I am never going to say too many (no such thing). There are a lot of books I don’t think I will ever re-read and don’t need to consult again, either. I just need to get rid of them. I suppose I could be more active on PaperBackSwap, but I’m disappointed they are charging money for the service now—beyond the price of postage. I suppose they have to sustain themselves, but it soured me on them a bit. A final goal: stop messing around with books that are not grabbing me. I bought some books this year, and they didn’t grab me, so I felt like I should read them since I bought them. That’s silly. I should just get rid of them if they aren’t grabbing me, and I shouldn’t be giving them more than 50 pages. 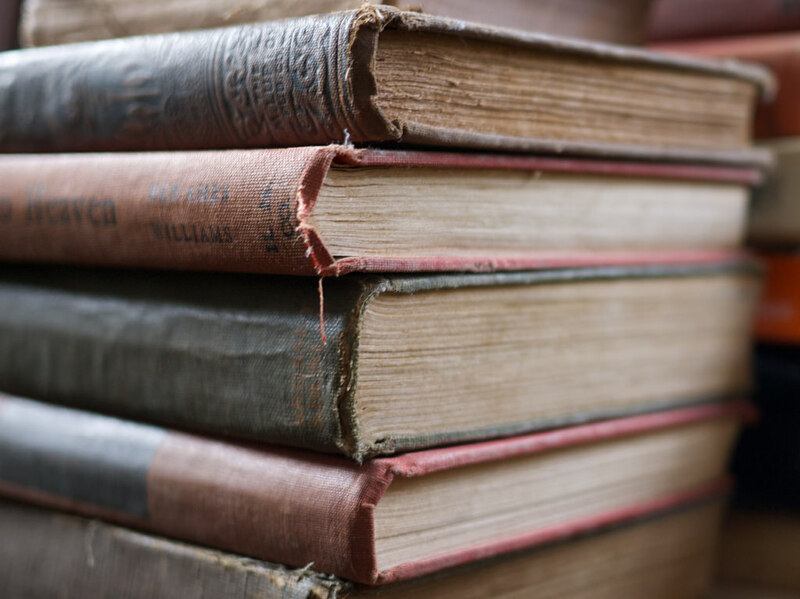 I need to remember there are a lot of books out there I want to read—good ones—and I need to be better about wasting time on books that are not working for me, even if I spent money on them. I know I should go to the library, but I always think I might need the books longer than they allow, and what if I want to keep them (yes, I know I could always buy them after the fact if that’s the case). I should probably make it a goal to use my library more, actually. They do have Overdrive, and I enjoyed reading books that way in the past. I read 11,997 pages, according to Goodreads. I read 38 books. One book is not counted in this total, so I suppose my actual page count is about 200 pages more than the figure above. If I count just the Goodreads total, that’s an average of 324 pages per book. It works out to about 33 pages per day. Not too bad. My shortest book was The Importance of Being Earnest at 54 pages, and the longest was an audio book re-read of Harry Potter and the Goblet of Fire at 734 pages. I’m not going to pick audio book favorites this year because all but one of them were re-reads, and the one that wasn’t was not one of my favorite books. I had a better nonfiction year this year than I typically do, and my fiction year was not as good as usual, though I did read some outstanding fiction. I did not meet my Goodreads goal of reading 55 books. I had every reason to think I could do it, having read 62 books last year, but this year was much more trying. My grandmother passed away, and it made it very hard for me to read. I was already behind at that point. I stopped worrying about trying to make the goal really early on, so I’m not upset about it or anything. It is what it is. I didn’t have the worst reading year, but it wasn’t the best either. I stuck with some books I wasn’t liking for too long. I didn’t complete any of my other reading challenges either, sadly. I enjoy reading challenges tremendously, but I don’t have the best track record in the world when it comes to completing them, let alone participating any more than simply reading certain books. Here is my reading map for the year. I did manage to read some more far-flung locales than I typically do. I am hoping to do even better next year. Yay! The R. I. P. Challenge is back for an 11th year! And it’s back at Carl’s blog after a year at the Estella Society. This is my favorite challenge every single year. I’m not sure what I will ultimately decide to read, and it may not be any of these, but I am so looking forward to curling up this fall with some great spooky(ish) books. In any case, I am opting to participate in Peril the First, four books.